As an Insurance Broker, should you put advice before price? Posted on Friday, February 17th, 2017 at 10:29 am. Our Renovation Insurance Specialist, Matthew Dover discusses Brokers attitudes towards securing brokerage, and how it’s important to educate clients as to why the cheapest price, doesn’t necessarily mean the best value for money. In all my years of broking, primarily around property renovations within the high-net-worth and mid-net-worth sector, I often wonder where the line between price and advice falls. It’s sometimes the case that Brokers are dumbing down their advice and providing inferior products to reduce costs to their clients and secure brokerage. In the end, who loses out more, the Broker or the client? In reality, what’s bad for one is generally bad for the other. In my opinion, it’s in our best interests, as well as our core responsibility as Brokers, to advise clients honestly on the right cover price mix, with price a secondary consideration. Our experience tells us that peace of mind does trump low premiums when clients are truly aware of what they are buying. In the direct channel we convert 84% of our opportunities which tells us that when you know what you are talking about the chances are you will provide the right policy. Sometimes, you’re better off walking away from a customer who isn’t prepared to insure properly, than offer a cheap solution that isn’t going to work if there’s a claim. Remember works claims are complicated enough without having to worry about what’s covered! Whilst it may be the case that some clients are just looking for cheap premiums, I wonder whether the conversations Brokers are having with clients are happening in the right way. The customer will initially focus heavily on price, but, I believe that we should try and liberate them from this mind-set and instead, talk about value for money. Low price isn’t necessarily always the right price and it’s up to us as Brokers to explain to our clients why this is the case. If our clients can make an informed decision, then more often than not they’ll make the right one. And for those who don’t make the right decision, ask them what they value more – the peace of mind knowing they have the best cover on the market, or inadequate cover that leaves them exposed should things go wrong? If they still don’t bite, perhaps it’s time to walk away or at the very least make sure they know what they are NOT covered for. As a general rule of thumb, price is less of an issue the higher up the client net worth spectrum you go, with mid-net-worth clients often being the ones looking for unrealistic renovation insurance premiums based on their knowledge of household insurance. However, it’s often the case that the mid-net-worth clients of today are the high-net-worth clients of tomorrow, therefore it’s worth going through the pain of educating them early on as to why buying cheap doesn’t necessarily mean they will be getting a good deal. I’ll be ever so slightly biased in recommending our Broker CPD training, but for those of you who haven’t already, signing up to this year’s Renovation Insurance CPD programme, commencing 14th February, won’t be the worst thing you have ever done. It picks up on the issues raised above, as well as provides you with the knowledge of renovation insurance in private client and commercial divisions required to provide the best advice for your clients. I’m willing to bet that after spending two hours with us, your insurance knowledge will be expanded and you’ll be thinking more like an insurance professional and less about racing to the bottom on premium. As a bonus you can register two hours of structured CPD for your records. To express your interest, click here for more info. Posted on Thursday, January 19th, 2017 at 9:00 am. If this is the year you’ll be undertaking a large scale renovation, you won’t be alone. Already this year, the news and property pages are forecasting an extremely positive year for the UK property market on the back of solid growth reports in the final months of 2016 from manufacturing and construction firms. As is often the case, we once again expect a large number large scale renovation projects to be undertaken across the country too. Now, we know that insurance isn’t going to be the first thing on your renovation ‘to do’ list – but it’s hugely important to understand your insurance requirements and obligations so that your project is fully planned and protected from the start. Here’s a rundown of just some of the key considerations you’ll need to make before undertaking a 2017 renovation project. How’s it looking? Assess the property structure before you start. You’ll hear the term ‘existing structure’ – in essence the walls and boundaries that exist in the property you are renovating. Make sure you’re clear on the type/s of construction and any listing on the building and get a fair assessment of the building condition. You’ll also need to understand rebuild cost and be ready to disclose any unusual features or enhanced risks (for example, a history of subsidence or flooding) before you start. The insurance premium you pay and extent of cover you’re able to obtain will be dependent on all these factors. Find out more. What’s it going to cost? Prepare a complete calculation. As renovation insurance experts, we can help you calculate the correct sum so that your works are correctly insured. You’ll need to estimate the total project duration from inception to practical completion, and have a broad understanding of the risks you’re going to face, particularly enhanced risks, so that the premium you’re quoted can be viewed entirely in context. We share more here. A large scale renovation project is a big deal. What’s your liability? It’s common knowledge that building sites can be dangerous places, and, as the employer and property owner, you’ll need to understand who is responsible for what. The extent of your direct liability for third party injury or property damage will depend on the set-up and management arrangements for the project. We tell all here. Heard of The Party Wall Act (1996)? It might apply to your project. Whilst The Party Wall Act may not be familiar to you, it will impose obligations and liabilities upon you in certain circumstances. Find out if the Party Wall Act applies to you here. What about structural warranty – will you need it? If you’re undertaking a new build, or you are substantially extending your property, we’d recommend a structural warranty insurance to cover defective workmanship and structural issues in the future. The applicability of such cover is outlined here. Will contents be left at the property? Make sure they’re covered. In high value renovation situations, the scale of work undertaken usually means renovators/property owners live elsewhere for the duration. Contents do sometimes stay on site though, and will need to be protected. Here’s how. Is the property unoccupied before work starts? You’ll still need cover. Familiar with JCT Contracts? It’s likely you’ll need one. There you have it – eight essential renovation considerations to fully protect your project, your property, your pride and joy. Our underwriters will take you through all of this when you call up. We’ll ensure you understand what you need and why you need it. They’ll also be available to provide ongoing advice and support as your project progresses. Renovation Insurance brokers is proud to place insurance for hundreds of large scale renovation project each year – directly working with renovators or in partnership with our qualified network of private client brokers, project managers and architects across the country. Get in touch with us to talk through your 2017 renovation plans. Posted on Monday, December 19th, 2016 at 1:29 pm. 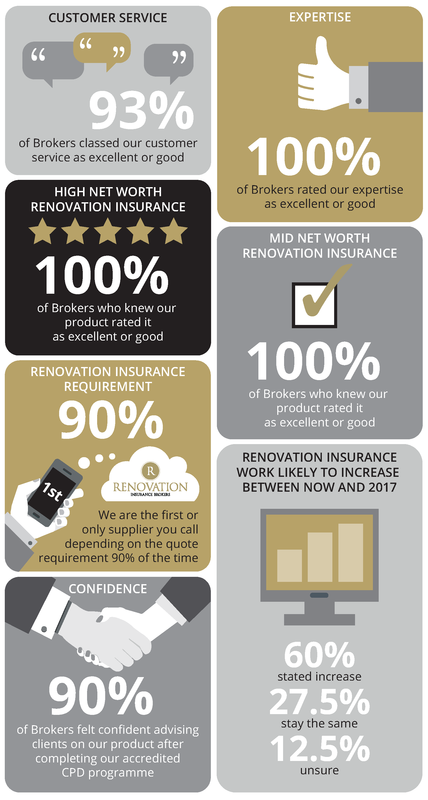 With 2016 coming to an end, we’ve started to reflect on the year we’ve had and the work we’ve done here at Renovation Insurance Brokers. We share some of the highlights with you here, in our last blog of the year. We do hope that it’s been a good year for you and that’s where our year in review message starts. And we really do think of us all as a team. We’re proud to have grown and maintained excellent relationships across the high net worth and Private Client Broker network. Each of the Brokers we work with plays a part in our business. Together, this year we’ve insured hundreds of large scale property renovations up and down the country…and that’s thanks to you. Together, we are a winning partnership, bound by our desire to professionally and effectively support your clients with their renovation projects. Assessing our approach. We like to think that we are doing a good job – we are passionate about our work and continually drive to offer the very best solutions with exceptional customer service too. This year, we directly asked Brokers what they really thought, with the first Renovation Insurance Brokers Annual Survey. We have to say that we were truly thrilled with the response, with 100% of Brokers rating our expertise as excellent or good, underlining the value we offer through our advice-led approach. We share more of our survey results in this end of year review piece. Dedicated CPD Training. We launched a brand new Renovation Insurance CPD training programme for Brokers at the beginning of the year, which proved very popular. The initial training dates sold out for January in under a week when advertised in December last year – and the number of dates more than doubled for the period to June 16 due to unprecedented demand. This not only displayed the demand for information on this topic, but also underlines the continuing commitment Private Client teams have in managing client expectations. Results of our Annual Survey showed us that 90% of Brokers felt confident in advising clients on our products, so the training is having the effect that we hoped it would. The demand for our training has been truly phenomenal, so it won’t be a surprise to hear that we’ll be running a new series from the beginning of next year. We’re investing in making our training an even more engaging and rewarding experience too. Register your interest for 2017 CPD Training here. Strong product portfolio. We’ve worked hard to develop a suite of insurance products that meet the needs of the market. This year’s survey confirmed a 100% excellent or good rating in regards to our products too, which are unlike no others in that they give clients an all risks, peace of mind option at an extremely competitive price. We’ll be undertaking a product review in early 2017 to continue to move us clear of our competition and give clients market leading cover in 2017. Broker Portal. Our unique portal is well established in the Broker market after being launched nearly two years ago. The majority of our Brokers now have login details for the system, which enables them to obtain a renovation insurance premium indication for their clients more quickly than ever before. Find out about the benefits of using the Broker Portal here. Clear renovation expertise. Since the very beginning, each year has seen us place insurance for an array of high value, unique renovations in all corners of the country, and this year has been no different. This year we’ve not only seen an increase in the number and size of projects, but also the complexity of both contracts and party wall agreements. It’s a real mix – but each of the renovators and properties we have worked with have all been in need of an expert approach to their challenging insurance requirements. What is evident is that the need for clear and effective advice is at an all-time high, so it’s worth gearing up to make sure you are able to cope. An expert insurance team. Our long established team has continued to deliver on our vision this year, led by our Managing Partner Douglas Brown. Our senior underwriter Matthew Dover heads up underwriting in Cambridgeshire, while underwriter Chris Harris moved to our London office in Bury Street. We continue to invest in our marketing too, with Marketing Executive Naweed Darr rolling out consistent Broker communications. We expect 2017 is going to be another intensely competitive year for us all and we hope to be part of your plans for that. A big and wholehearted thank you to everyone who has been part of Renovation Insurance Brokers success this year, we hope that your Christmas is restful and fun. Posted on Thursday, December 1st, 2016 at 4:41 pm. Here at Renovation Insurance Brokers, we insure a wide range of properties in various states of repair. 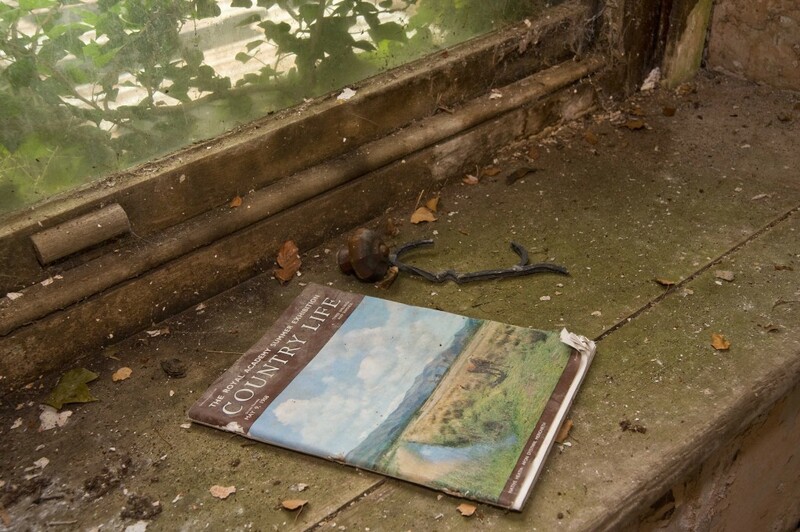 Even those that are uninhabitable wrecks at the point of purchase. With the opportunity to add huge value following a refurbishment programme, renovators know that today’s wreck could be tomorrow’s goldmine. There’s even a dedicated website, Wreck of the Week that highlights crumbling structures that are available to buy and transform. But profit is not necessarily guaranteed. Recent articles in The Times and The Daily Mail highlight that paying rock bottom prices for wrecked properties is a thing of the past. Buyers will still need to watch their costs and utilise plans which will maximise the property’s potential – even if the final scheme is not to their personal taste. So what does buying a wreck mean from a renovation insurance point of view? 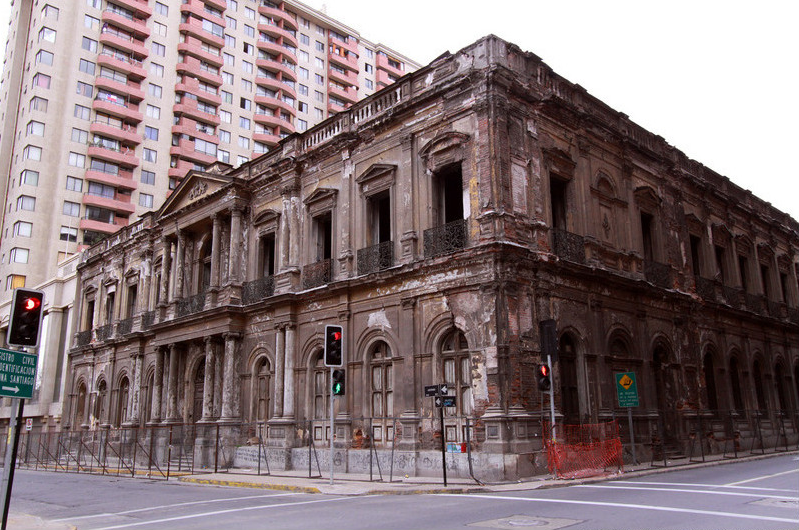 At Renovation Insurance Brokers, we’re not scared of heavy dilapidation, but it will come as no surprise to hear that we’d be taking a close look at the structural condition if you are looking to renovate a building of this nature, and we’ll probably want to see a current building survey report too. 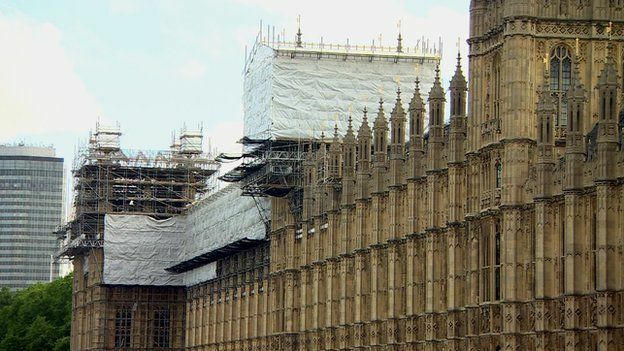 Where there is structural instability, the liability insurance is going to be a lot more expensive too, so it’s possible that additional terms will be imposed on the insurance, for example, required maintenance or higher excess. Our underwriters will also be considering the risk of malicious damage, vandalism and squatting. Properties which had been uninhabited for a long time are at higher risk, and this has implications on both the material damage and the liability side of things. Tempted by buying a wreck? A large scale renovation is a big investment, whatever the state of the property. However, with a wrecked building, you’d need to earmark a generous amount of extra time and increased financial contingencies to cover the discovery of hidden defects and complexities. In these cases, renovators can also do themselves a big favour by ensuring that there is a current structural report, and by spending some money ensuring that the property is fully securable. Our underwriters are on hand to talk to you about your property and your renovation plans. Just give us a call. You can also find lots more background on key considerations for large scale renovations in our online knowledge base. Posted on Monday, October 24th, 2016 at 9:00 am. Basement conversations are a topic that we often comment on and our underwriters regularly place insurance for this form of project. I was delighted to have the opportunity to speak to property journalist Nigel James recently, for a basement conversions article he was writing for ABSOLUTELY – a series of luxury lifestyle magazines for ultra-high net worth residents of London. As Nigel’s article highlights – basement conversions in London are at an all-time high as many homeowners elect to sit tight and expand their homes rather than move and face a substantial Stamp Duty bill. However, for those that plan to dig down to create a wholly new basement under a house, there’s a lot to think about – and not just limited to the build itself. The right insurance is essential. The difficulty with basement conversions is that most people doing them have little acquired knowledge of such technical projects and unless you’ve got a good insurance broker who understands the issues, you are potentially leaving yourself open to some pretty serious consequences. 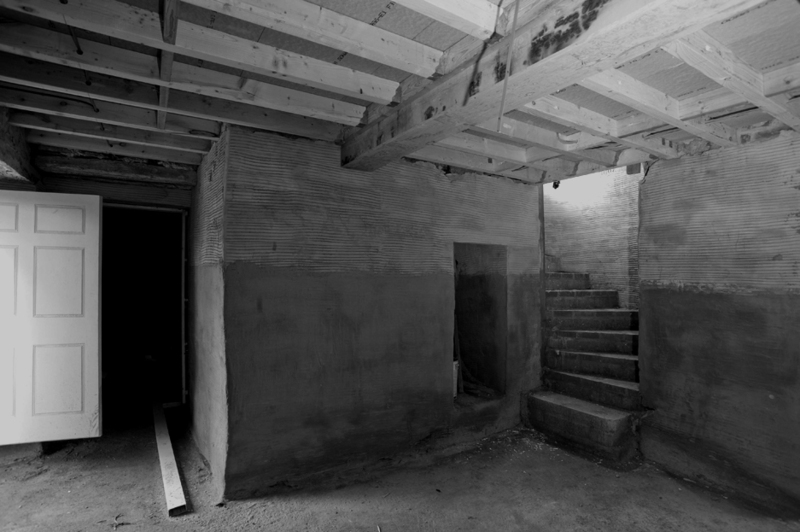 Here at Renovation Insurance Brokers, we deal with hundreds of basement conversion projects. If you’re planning your own, there are a few things we recommend you think about. What insurance do you need? 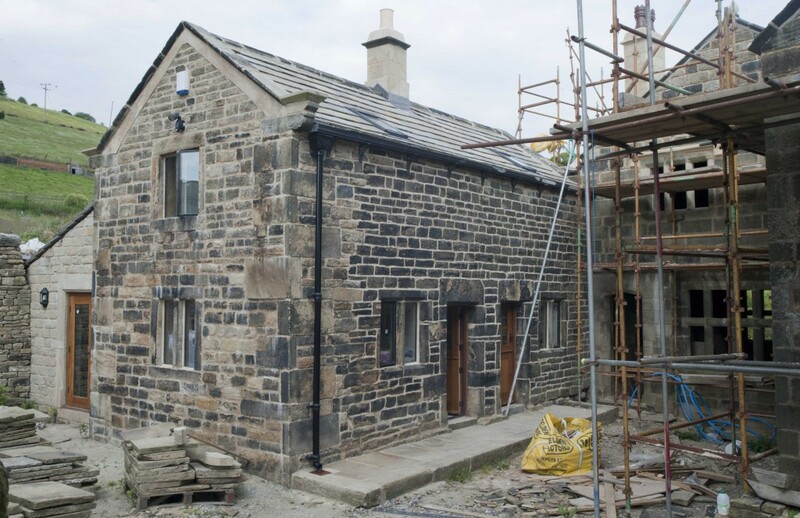 You usually need to cover the existing structure, the conversion work you are undertaking, injury on site and any Party Wall Act liability you may have. The level of liability you are exposing yourself to is actually quite high. Who’s going to undertake the work? Another crucial area where homeowners must do their homework is to pick the right contractor. Unfortunately, many project managers and architects don’t help their clients undertake robust enough due diligence on potential builders before work starts. Are you fully protected? It’s not just important to get you own insurance defined, you also need to ensure that your building contactor provides cover too. Your contractor will need to be able to show you their suitable liability cover for any damage caused by their own negligence. You’ll both also need non-negligent cover for any problems that arise that are not the fault of the builder, architect or structural engineer – such as a change in ground conditions during the build. What are your timescales? It’s best to be flexible. Our data shows that 86% of basement conversions run over time and 84% run over budget. We often find that we are asked to extend insurance terms in light of project delays. Read the recent article in ABSOLUTELY Clapham and Battersea for further insight on basement conversions in London – and do get in touch to talk with our expert team further if we can be of help to you in this specific renovation insurance area. Posted on Thursday, September 29th, 2016 at 3:59 pm. The Home and Renovating Show starts at ExCeL London today. The exhibition is set to see thousands of people flock to what is described as the essential homebuilding and renovating event in the heart of London. Research by real estate adviser Savills last year estimated that property owners in Britain added £6.5 billion to the value of the UK housing market in one year alone. With property renovation continuing to be buoyant in and around the London area particularly, we’re sure this weekend’s Home and Renovating Show will be popular. We’re pleased to see an advice centre set up at the show which will offer one to one consultations with architects, planners, builders and architectural technologists; as well as experts from Homebuilding & Renovating magazine. It is often the case that when a decision is made to renovate a property, the renovator is very clear as to what they want to achieve in terms of the end result, but significantly less clear on how they are going to achieve it. We can’t reiterate enough the importance of expert advice during the planning stages of a project. If this advice is not sought until the project start date is imminent, it may be too late to undo bad decisions. Each of this weekend’s Home and Renovating Show experts will be well placed to advise on the areas of renovation that they operate in. However, an area that won’t be covered this weekend, and one you might not even realise is key to your renovation, is tailored renovation insurance. On a large scale renovation project, your existing building insurer will struggle to meet your needs, and even if they’re prepared to try, there will be gaping holes in your cover. Our underwriters speak to renovators each and every day – helping them identify their insurance needs and offering them tailored, peace of mind solutions. Regardless of whether you are attending the event or not, if you would like an overview, or some advice on the key insurance considerations for your project, just get in touch. When looking to insure a renovation, there are many different factors to consider. Our online Knowledge Base can also help you understand which areas may apply most to you and your project. You can find out more about The Home and Renovating Show here. Project Liability Requirements – are you clear? Posted on Monday, July 25th, 2016 at 11:22 am. As a specialist renovation insurer, our focus is on providing the right insurance for large renovation projects. 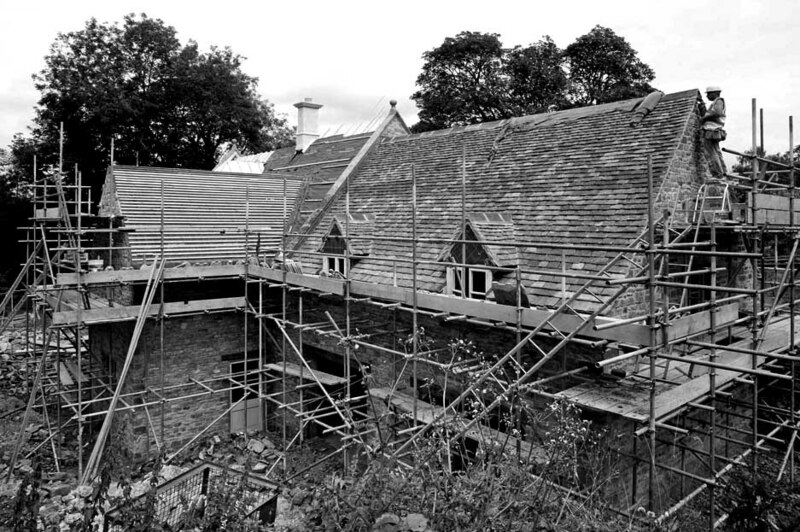 We’re in the business of sourcing high quality, All Risks buildings and works insurance for structures in the course of renovation – something which the standard property market can’t cope with. When undertaking a large renovation on your property, you don’t just need specialist property insurance – you need specialist liability insurance as well. Standard insurers usually aren’t positioned to provide anything other than standard liability cover so, once again, you’re likely to need the services of a contract works specialist broker. In our latest blog, our Senior Underwriter Matthew Dover looks at the three potential liability options which may be required from the point that your project starts. What is Property Owners Liability cover? If you’re appointing a main contractor who’ll be in complete control of the site, and you’re not involved in the project management function, then straightforward Property Owners Liability cover will be fine for you. will pick up your direct liabilities as a property owner, and provide you with legal defence costs should you be named as a co-respondent in an action against the contractor. However, this type of cover DOES NOT cover project liability – injury or property damage stemming from the contract works themselves. The contractor, who is in full control of the site should have this cover. Do you need Project Public Liability Insurance? If you do have a role in project management (usually because there is no single contractor in full control of the site, but rather a series of sub-contractors are appointed directly by the renovator) then a wider form of liability cover is needed. We call this Project Public Liability Insurance. This will broaden the liability cover you hold to include third party injury or property damage stemming from the contract works themselves. Generally speaking, here at Renovation Insurance Brokers we’ll be looking to satisfy ourselves that you have the relevant experience to manage a contract site. This is important, as there are legal requirements around health and safety and site management. This cover will include Property Owners Liability in addition to Project Public Liability and is suitable where the contractors being appointed are all Bona Fide Sub Contractors (BFSCs). These are contractors who price a job, supply their own tools and materials and have their own liability insurances. They are not ‘Employees’. As you’d expect, this insurance costs more, and requires more underwriting. Is Project Employer’s Liability required too? If in addition to working with Bona Fide Sub Contractors you are also using casual labour, or Labour Only Sub-Contractors, then you’ll need to give some thought as to whether or not you have a legal obligation to arrange Employers Liability insurance. If you have workers who are paid a day rate by you, and undertake tasks instructed by you as a renovator, using tools and materials supplied by you then you are likely to be considered the Employer of these people and you’re going to need Project Employer’s Liability as well. Of the three potential liability options you will have, this will be the most expensive. Contract sites are dangerous places and liability covers are priced accordingly. Project Employer’s Liability is a compulsory insurance cover to hold, so specialist advice is required to make sure you have correctly identified your project liability requirements. When undertaking a large scale renovation, we appreciate that you may not know which cover is suitable or essential for you. Here at Renovation Insurance Brokers, we are specialists in exactly that – so do get in touch and allow us to give you some advice around your upcoming project.